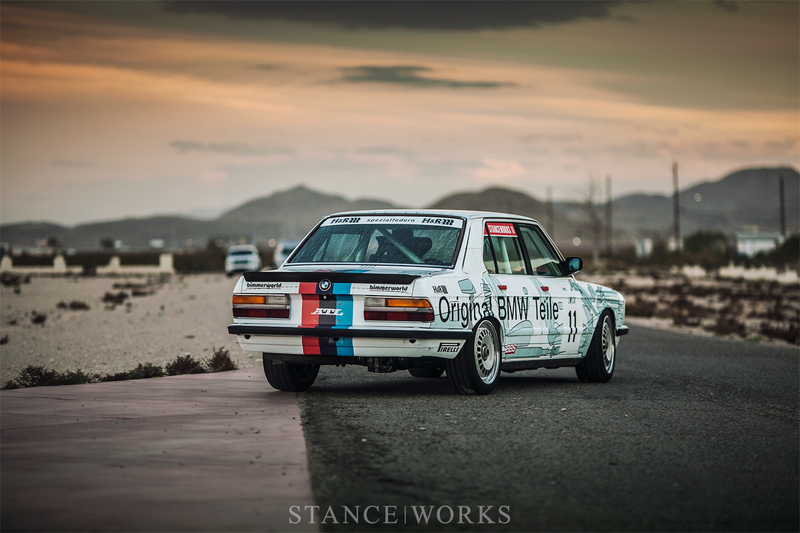 After purchasing the '84 533i that would become the my Group A tribute build in early July of this year, I sat down with Andrew to decide exactly where to take the project as a whole. I knew what I wanted, large and by far, but a few important details had yet to be ironed out: namely the livery. 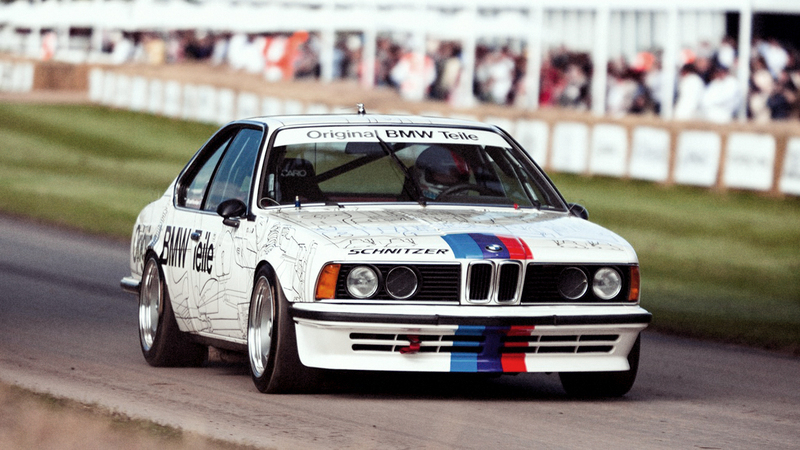 As far as the 20 or so original Eggenberger Group A E28 race cars, few had liveries that leave a lasting impression. Perhaps the Lucky Strike cars stand out the most, but even still, something felt off in building an "exact replica," so to speak. 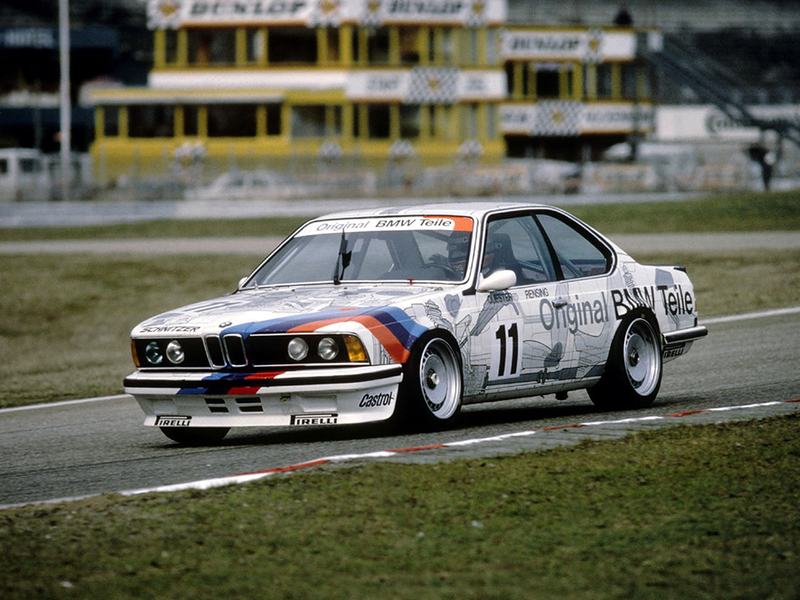 On the other hand, the much more famous E24 635CSi Group A race cars had a handful of liveries that have resonated with me. The famous "X-Ray" factory works cars in particular have always struck a chord; they are one-of-a-kind, unlike any other race cars that come to mind, yet they stand out in the pack, and are one of the few liveries deserving of a closer look, and delivers a powerful message about the engineering BMW instills in their cars. 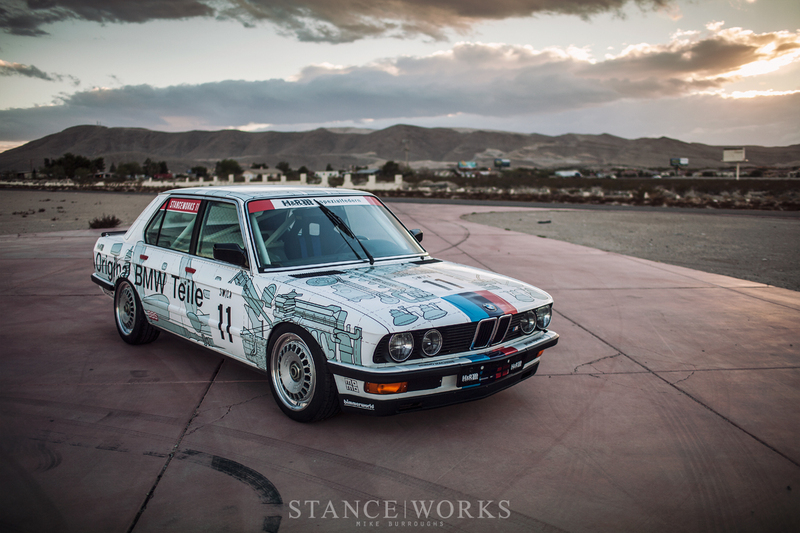 Luckily for me, Andrew was willing to lend his incredible talent to the project, and after a bit of back and forth, we agreed that the iconic "X-Ray" livery could be re-drawn to perfectly suit an E28 M5's innards. We decided on an amalgam of the variants of the E24 livery, such as the nose and tail stripes as opposed to the diagonal stripes from the later years. 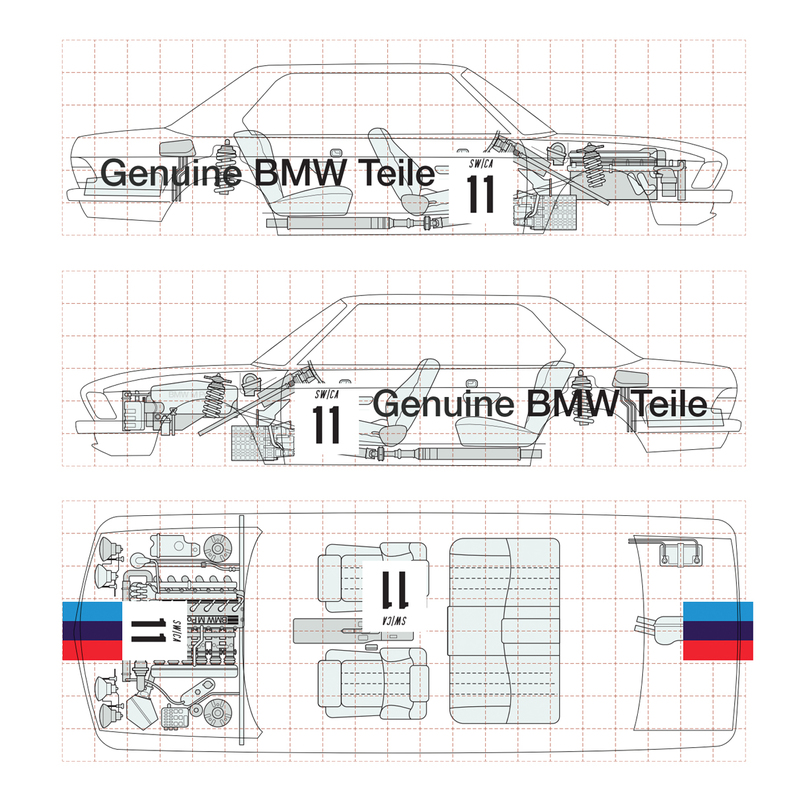 The all-grey color palette of the internals was chosen, and the red dotted grid was implemented from the later years, and the red accents caught my eye over the counterpart cars with blue touches. In what felt like no time at all, Andrew had drawn up the artwork, and from there, it was on me to find someone suited to apply it to the car. I was faced with a handful of options in terms of local shops, but the answer was clear after my first visit. 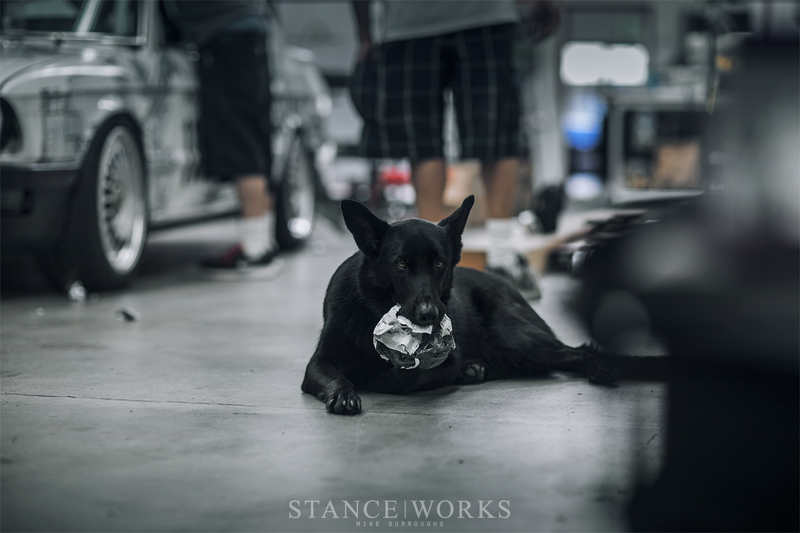 Just around the corner from our shop in Costa Mesa, California is WrapWorks, run by Chris Youngash and his team of talented guys. 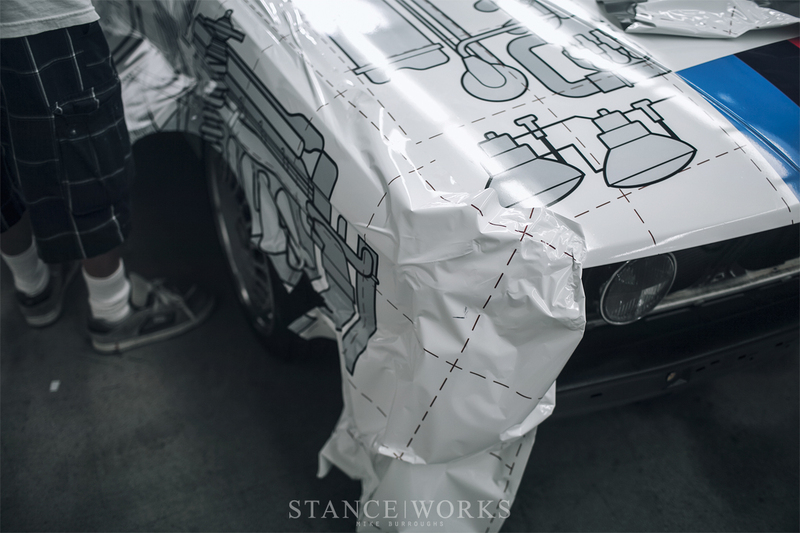 Armed with the artwork, I presented the project at hand, letting him know that I'd be giving him only a day or two to pull it off, and it'd have to be last minute, with only a few days to go until SEMA - in the interim, I'd actually have to build the car. Chris's excitement grew with the impending challenge, as did his excitement for the car itself. He was quick to assure me that he'd get the car done on time and without issue, and that's the kind of promise I like to hear. After a few months of work - building a roll cage, painting the interior, swapping the driveline, and rebuilding all of the running gear - I delivered the car to WrapWorks with just a day or two to spare. He had the vinyl printed and ready to go, waiting for the car's arrival, and within minutes, graphics were being laid. Chris called in some extra hands to pull the job off in record time - a slew of guys he's known for decades, all with the skill to do the job and the precision to make the graphics straight, accurate, and of course, line up. It was all hands on deck, with guys tackling several corners of the car simultaneously. Before lunch time, the hood and the passenger-side of the car were complete, and after I retuned, following a quick bite to eat, vinyl was being applied to the driver's side. The challenging work was made to look almost effortless, and by dinner time, little of the car's original bodywork was visible. Chloe was present too, helping to make sure no wads of vinyl went un-chewed. Within no time, the car was nearly done, save for a few adjustments needed to get the gridwork to line up from the top to the sides, which Chris made quick work of the following morning. As a perfectionist, Chris was as dedicated as I am to ensure the car came out perfectly, especially with such intricate artwork. The final result, thanks to WrapWorks, is everything I had dreamed of. As arguably the most important component of the car and its dedication to the original Group A cars from decades ago, Chris and his team pulled it off incredibly well. I find myself already dreaming up another project to collaborate on with Chris and his team. For any of our California readers, look no further than WrapWorks here in Costa Mesa... and for those that were unconvinced before, such as myself? Well, perhaps I too might suggest that paint is indeed dead. 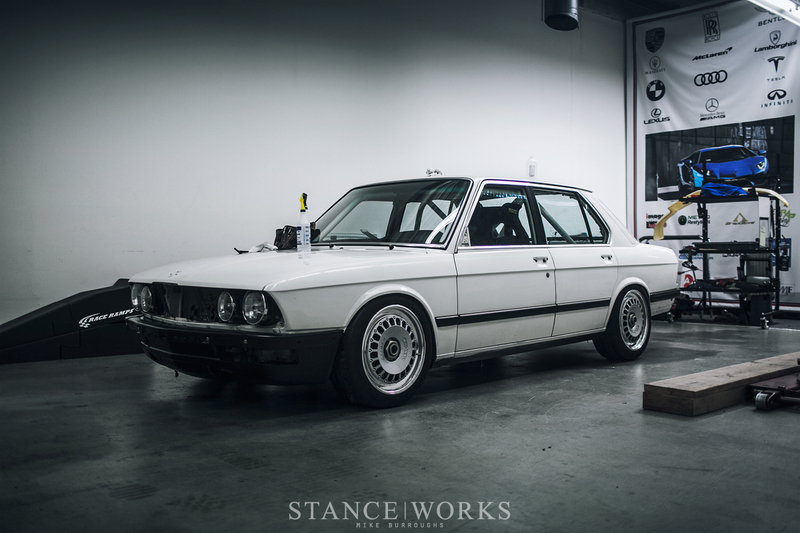 But this…oh and that 190 you featured,looks amazing. Im now considering to wrap my Sierra in some legendary livery. Like Texaco.